The Bible is full of plenty of great stories and it’s no surprise that most of them revolve around Jesus Christ. He taught the world some pretty profound lessons. He showed people how to be kind to everyone, even those who might not show you kindness in return. He taught us to forgive others and he showed us that a strong will is a powerful thing no matter who you are. It’s only natural that you would want to share some of his lessons with the world! This Jesus Christ costume helps you share those lessons at your next play or pageant. 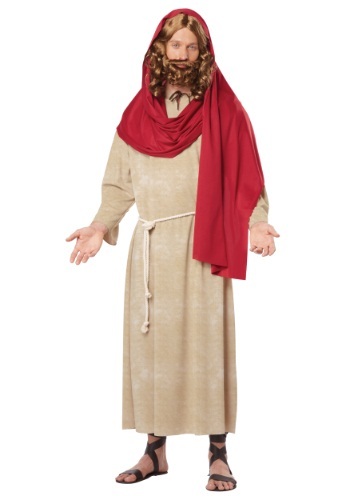 The costume comes with a robe that’s made out of light brown polyester material. It also comes with a rope belt and a red headscarf that can be worn around the shoulders, or over your head. When you wear it, you can reenact classic scenes from the Bible to help spread his peaceful teachings!